On Friday I did something I don't get to do very often. I took one of my best suits out of my closet, I put it on and for a few hours I posted for pictures to remind everyone that I'm first and foremost an attorney. I might be in a wheelchair, I might run a non profit and be a disability activist- and between all those other things it's easy to forget that in many ways I'm just like the people you find behinds the desks of big law firms. I have three law degrees and I'm licensed in two jurisdictions. Unfortunately, my wheelchair doesn't help to get that point across, it doesn't scream "capability" or "power". So when my Foundation's creative director requested to see some new pictures of me, she opted for a more traditional look. It's been a year since I had my headshots taken and they were outdoors. It seemed like a fun idea at the time, but it wasn't practical and much of it was not usable. And of course she had a point. "You're very... unconventional"- she said or something to the effect of a nicer way of saying that disability, wheelchair and cerebral palsy is not something people traditionally associate with the word "lawyer"- so we have to put you in the most traditional of legal settings. She will then use those pictures not only on the foundation's website, but for a page she's been putting together for my upcoming law practice. I can help my foundation and myself best if I establish myself as a lawyer in my community first. People need to start seeing me as an attorney. "If you were more known as a lawyer, then we could have played around with a more modern setting and environment"- she explained, but I got the point and I agreed with it. We needed a law library and an office, a suit and a tie, play down the wheelchair, play down the disability. It took a while to set up, between the photographer I hired and a friend who had an appropriate location to put their schedules together. Unfortunately, I don't have a law office of my own, but the place we went to was perfect. You couldn't help but be impressed between the wooden bookshelves filled with tomes of Federal Reporter and the big conference table that still impress you although you know nobody really uses books for research anymore, but this sends the right message. A lawyer works here, doing what other lawyers do. And I wish I could say I felt we were staging something, but although the tablet and the netbook I brought were not even charged and served as props I felt I belonged there. This is the type of a law office I will have one day. 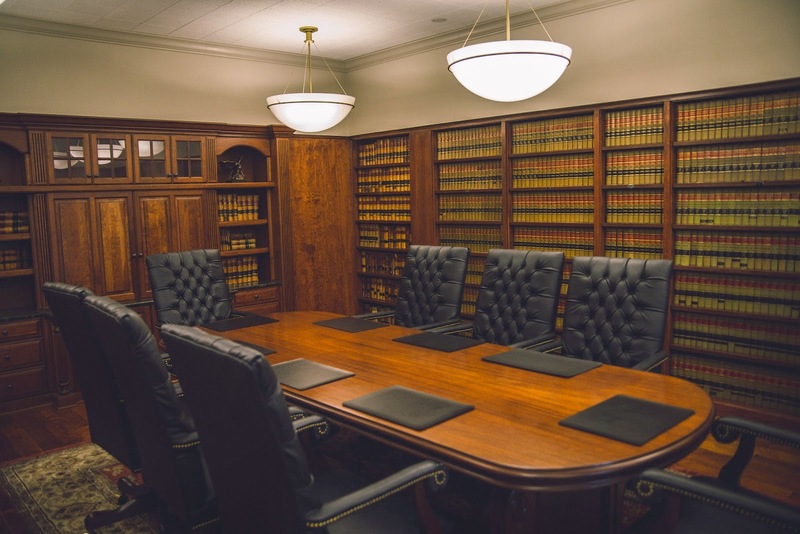 And although the books were probably mostly for show the wooden finish on the walls, the bright light coming into the room had my crew in awe of this scholarly atmosphere and the vast legal knowledge contained. It's about projecting the right image, the wisdom, the skill, the experience and I've made first steps to have people seeing me differently. Yes, I hate pictures. I gave the photographer quite a task to figure out how not to make me blink, as I'm faster than the flash and the camera shutter sound, I say it's quite a talent. And yes, I hate wearing suits, but I'm always in one when I go to a courthouse or an agency so I don't wear them often. It's easy for things to twist a bit in different directions when you get in and out of a wheelchair. It's easy for a jacket to get caught in my wheels and buttons don't make me feel comfortable. But the underlying message I want to send is to all my future clients is, I can help you and you can trust me. And to get there I need to build my image up a bit. And yes, sometimes this means pretending to be on a phone for a picture or pointing to things on a screen that isn't there. Because what matters to me, as fun as it is to dress up, smile, not smile, make faces once in a while - is that underneath the clothes I know I do a good job. But people often don't get to see it when they look at me, because my image doesn't go along with what I have done and what I will do for other people. One thing is certain- it made for a unconventional Friday afternoon.